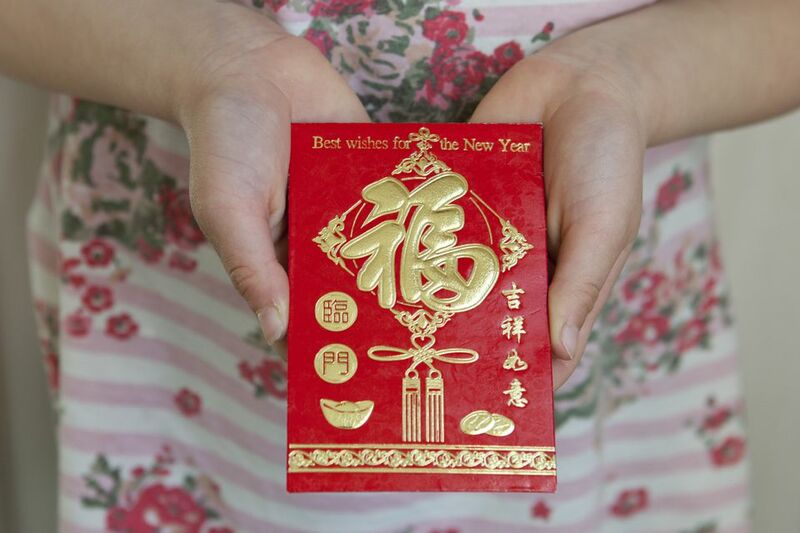 While Western kids dream about what Santa will bring them, as Chinese New Year approaches, Chinese kids will be getting their piggy banks ready to receive hong bao. Hong Bao (红包) packets, literally "red envelope", are the traditional gifts that adults give children during the Chinese New Year holiday period. The general idea is that adults with income give children with no income Hong Bao during Chinese New Year. In practice, "children" can even mean young adults who are unmarried. Children ask for Hong Bao by saying "Gong Xi Fa Cai, Hong Bao Na Lai!" It means Happy New Year! Give me a red envelope! Don't be shocked though, everyone is prepared for this and the givers make arrangements in advance so that when they go visiting, they have the red packets at hand for such occasions. How Much to Put in a Hong Bao? The amount varies, but generally speaking, it is ideal to give round numbers or numbers ending in 8. If we're talking in Chinese currency the Renminbi, then 88 (though this is quite a bit low), 188, 288, etc. are good numbers. Also 200, 300, etc. are good. Four is an unlucky number in China, so avoid any number that contains a 4. And no coins! For many, especially migrant workers who return home to rural communities for their annual holiday, the pressure to produce hong bao for relatives and expensive gifts for parents is high. When to Give Hong Bao? If you are a foreigner living or visiting China during Chinese New Year, and you are a guest at a Chinese person's home during the holiday, then you really won't be expected to give hong bao. That said, if you know your hosts have children, then giving them Hong Bao will be a very nice gesture. Find out from other co-workers or friends what an appropriate amount would be. Hong bao are also given for weddings and birthdays as well. It's always best to check with local friends to give you advice on how much to give if you find you are in a situation where you should give a hong bao. You don't want to give too little. You'll see hong bao used as decoration on just about every Chinese New Year flower and plant that is displayed during the season. These will be empty and only used for decoration. Hong Bao are given at other occasions too. Weddings are a big event where hong bao are given by guests invited to the wedding instead of gifts. The amount of money to give at a wedding can be tricky and I would recommend if you are invited to a Chinese wedding, that you get some advice about how much to give. Also, if you buy the actual envelope yourself, make sure you tell that stationer what kind of event you need the Hong Bao envelope for because you want the correct sentiment on the front of the envelope itself (see next item). If you need Hong Bao, you can buy them at stationary shops at any time of year. Ask the shop owner or a friend which one to buy so you ensure you don't get one that says "Congratulations on your marriage" for a birthday. These days, folks don't even have to leave the comfort of their sofas to give hong bao. Wechat (微信) , a popular instant message and photo sharing app introduced electronic hong bao so now it's even easier. Friends send each other electronic hong bao from their phones!